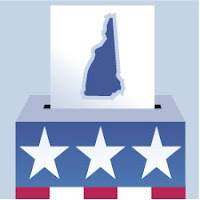 Joe Sudbay via AmericaBlog relates the final Reuters/Zogby poll through yesterday in New Hampshire. No surprises except maybe McCain opening up a wider lead on Romney. With the MSM convinced Hillary’s campaign is imploding her press coverage is only going to get worse having a drag on any momentum she needs to get moving. Her campaign is already acknowledging placing second. She won't be able to claim an aura of the "Comeback Kid" status ala her husband in '92 when he placed second to the late Paul Tsongus. The dynamic here is not the same. Obama’s whole campaign aura just breathes new and fresh perspectives on problems that have gone on for decades (i.e. medical coverage & prescription drugs). There is no doubt now he’s the frontrunner for the nomination. It will be fun to watch as Obama rolls onward. He will hit that inevitable bump and a slight derailment that all campaigns go through. It won't be important what that derailment is, or what caused it, what's important will be how he handles it. That will be interesting to watch. This site is a must read but fair warning, do so at the risk of your own sanity. Its all in The Gavel.